I saw a version of this salad on Food Network one night and knew we had to try it ourselves! 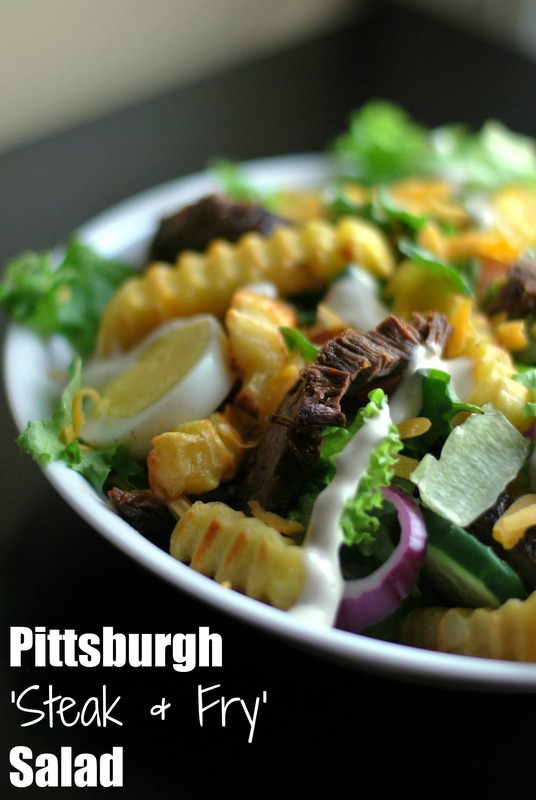 What is not to love about a salad filled with gobs of ranch dressing, cheese, french fries and steak? Seriously! Even my salad hating hubby had seconds of this one! Give it a try! To assemble the salad, I chopped and sliced the veggies while the french fries were baking. I cooked them a little more crispy than normal to make sure they stayed crisp in the salad. I layered lettuce, tomato, onion, cucumber, deviled eggs, croutons and cheese into each bowl. 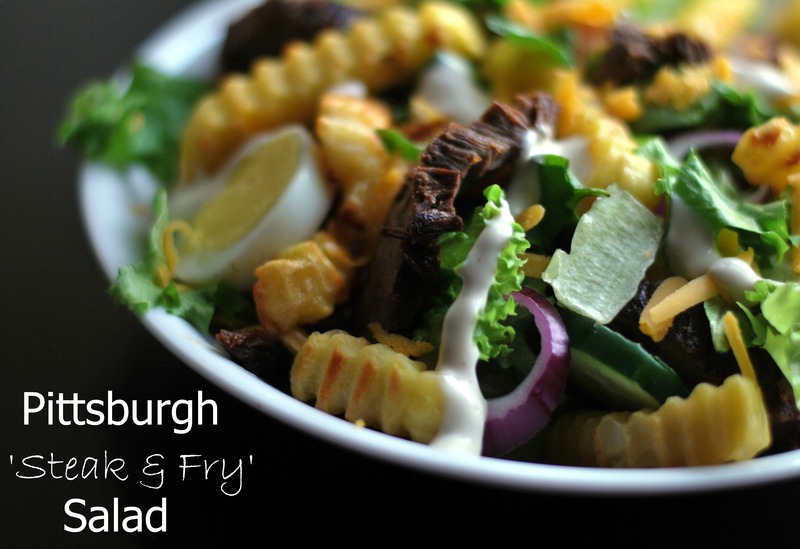 Tossed with the dressing then added the steak slices and french fries at the end, to ensure maximum crispness. Serve immediately.